What is a domain authority? and how to improve it in 2019– Search engine optimization is a time-taking process. What this means is that you must constantly strategize for your blog and implement it as you continue to grow as a website. You are working on quality content, building links, optimizing keyword density, offline marketing, and what isn’t. Everything is important in SEO.Likewise, there have been advances in SEO tools. This means you can measure your process for certain SEO factors. If you want to check your content for any grammatical errors, you use a grammar checker. If you are hung on plagiarism, you have got a plagiarism checker tool. What’s more, there are metrics in SEO developed by Moz company. This metric is a single number quantification for your website’s ability to rank search engines.This is called domain authority. Use toolsprepostseo to evaluate the authority of your website domain. What exactly is the Domain Authority? Usually abbreviated as DA, domain authority aims to give webmasters one position on a scale of 1 to 100. 100 is the highest domain authority that can be achieved on a scale.What you are doing here is combining all theSEO factors to predict how well your website ranks in search engines. Domain authority is just a metric in the SEO world. It makes no difference unless your actual website has the ability to appear on search engines. When a new website is created, it starts from one domain authority.Over time, domain authority has also increased. Another thing to note is that there is no absolute domain authority for your website to achieve in order to have good domain authority. There are various types of websites. Websites like Wikipedia have a large number of high-quality external links that automatically increase domain authority.On the other hand, websites that do not compete on the web for external links do not have increased domain authority. In order for you to really put your domain authority to use is to first investigate the standard domain authority in your own niche. You must check the domain authority of your competitor’s website. Domain authority is a comparative metric. Through research you can deduce standard domain authority in your niche. Or another safe route to take is simply to increase the authority of your domain as a whole. If your score today is 35, try making it 40 and so on. 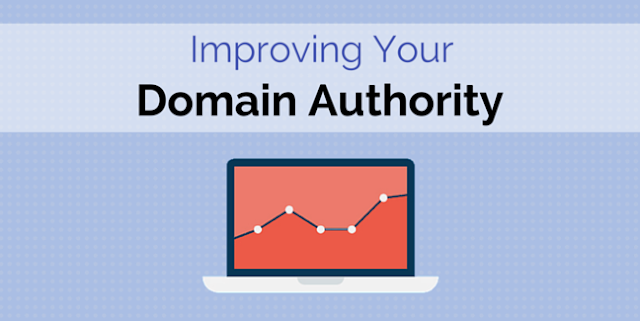 How can you increase the domain authority of your website? Before we investigate the details of how you can increase the authority of your website domain, there is one thing you need to pay attention to. Domain authority is based on a logarithmic scale. What this means is that it is easier for websites to increase the authority of their domains from 15 to 25 than to increase the authority of their domains from 75 to 85. The higher your ranking on the domain authority scale, the more effort you will need to enter to jump further to front.Here is how you can increase the domain authority of your website. If there is one factor that goes down into SEO, that is the quality of your content. On page SEO must be with your blog content, at least for the most part. The more you can achieve in terms of giving value through your content, everything else will be sorted automatically.When working with SEO pages for your blog, there are several techniques that need to be considered. Make sure the title and description of your content is optimized. Your meta description must be able to make visitors click on your blog. Add meta tags so visitors can find you on the web. Make sure that your blog’s keyword density is optimized.Keyword density not between 2 and 3 percent is not recommended. Make sure the title in your content is disturbed evenly. Add images and media to your content. If you take visual content from other sources, be sure to add the right credit for the content. This can be very strong if you add internal links on your blog. People will be directed to the blog further in your content through internal links.It’s like marketing yourself. Work on the URL structure on your website. Shorter URLs tend to have a higher ranking. Off page SEO basically includes all your offline marketing and building links. This includes social media marketing. Creating links is one of the best ways to increase your search engine ranking and domain authority.Your link profile must always be strong. If you don’t know, the link is basically when your website is tagged on another website. This means that some other websites on the web voluntarily recommend your website. This is considered a voice from within the web community that shows that your website is credible. You can try guest posts. If you can become a guest writer, you will get many links. But remember that building links includes both working on quality and quantity of links. If you continue to focus on link quantities, You may lose quality. For search engines, quality is everything. Your link will not be considered if it comes from a weak source. Social media marketing can have a big effect on the authority of your domain and thus, your ranking. You must start by creating a strong social media presence. You can create a social media account and work advertising your blog. This can be paid or organic depending on your goals and budget. Once you have loyal followers on social media, your blog will automatically receive lots of shares.Although search engines claim that the number of shares on social media does not take into account search engine rankings but research has shown that blogs that have a strong social media presence tend to have higher rankings in search engine rankings. In addition to the elements of your blog’s content, there are a number of other things that take into account the domain authority and ranking of your search engine. Today, a good percentage of Google search is done by cell phone. Not through computers that people use search engines all the time. This is why cellular friendly websites are no longer optional. It is mandatory for you to make or upgrade to a website that responds well on the mobile screen. Likewise, the time taken to load your website has an effect on the overall user experience. If you want to increase the authority of your blog’s domain , you must consider these two factors. Previous articleHow does WordPress blogging work? How does WordPress blogging work?